Visa has made a change which requires an update to your terminal. With the steep increase in the number of contactless cards in issue in the UK, currently over 108.4m*, there has unfortunately also been a rise in the number of fraudulent transactions on lost or stolen cards. In a bid to help prevent this type of fraud, Visa has mandated that, from October 14th 2017, all contactless transactions performed on Visa cards must be authorised and that these transactions must have a zero floor limit. It means that from the October 14th all contactless transactions will need to be processed online rather than offline. 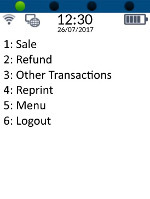 Currently many contactless transactions are processed offline where the payment terminal stores up a batch of payments which then get processed online later in the day. By moving all transactions online, the payment terminal contacts the cardholder’s issuing bank as the transaction is being processed – this not only checks that the cardholder has sufficient funds in their account, it will also flag if the card has been cancelled due to loss or theft. Unless you are in one of the below exempt categories, this change will affect all merchants who accept contactless transactions. We have aimed to make the change as easy as possible. All you will need to do is complete a download on your terminal which will make all the necessary changes. Full instructions on how to do this can be found on our website by clicking here. The download will be available from September 1st 2017. We ask that you ensure you have completed the download before the rule change comes into effect on October 14th 2017. 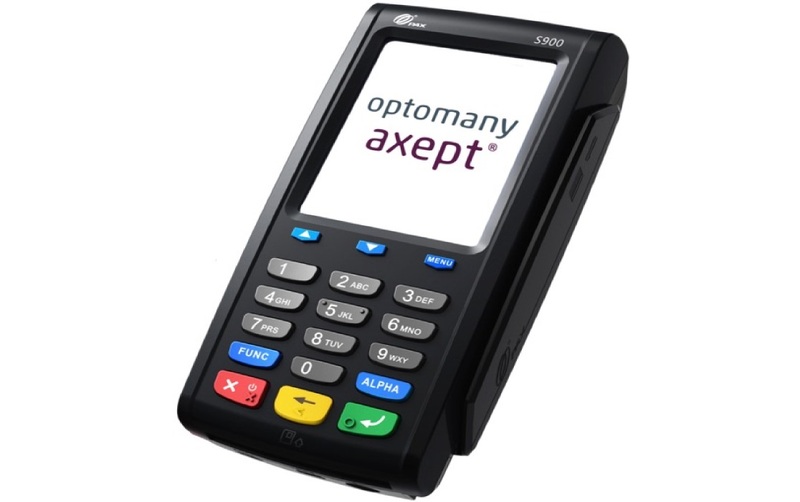 This guide details the steps to follow on your axept® terminal in order to download and apply the mandated Visa Contactless update. Please log on to your terminal before attempting these steps. Note: There may minor variations to the message displayed dependent on the software version running on the terminal. Please contact Customer Support if you have any queries. Before attempting to perform the software update, please ensure there are no stored transactions present on the terminal. 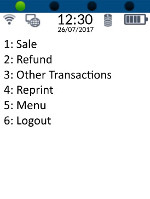 Stored transactions are identified by the stored transaction icon with the number of transactions shown underneath. 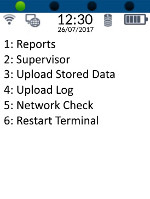 Please ensure the terminal is connected to the internet before attempting to upload stored transactions. (Press the key on the keypad). Please be patient whilst the transactions are uploaded (time required is dependent on number of transactions to be uploaded and internet connection speeds). 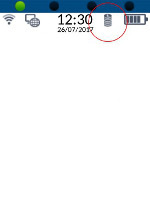 Once the upload has completed, the stored transaction icon will no longer be displayed. 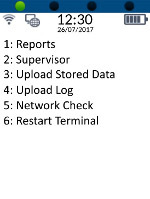 If the stored transaction icon is still displayed after performing the upload, please do not attempt the update and contact customer support on +44 (0) 208 102 8102* followed by option 2 for further assistance. 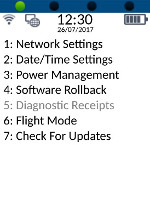 Please ensure that the terminal is ready to apply the update by following the steps in Section 1 - Preparing for the Update. axept® will check for available updates. 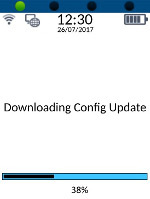 If a configuration update is available and has been assigned to the terminal, axept® will start to download the configuration update. Please be patient whilst this downloads as it may take several minutes. 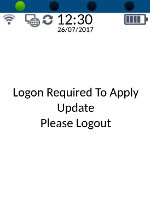 After the download is complete, the update icon will be displayed and axept® will require you to logout and logon again. axept® will return to the main menu. 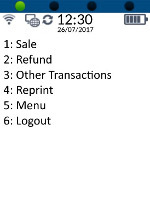 From the main menu, select option 6: Logout to logout and then logon again. 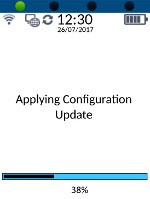 After logging on, axept® will start applying the configuration update. Please be patient as this may take several minutes. The terminal will return to the main menu once the configuration update has been applied. 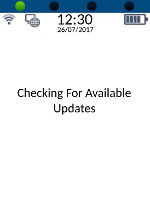 This secondary check is required to confirm with the central platform that the update has been applied. axept® will display ‘No updates Currently Available’ if no updates are available or has not been assigned to the terminal. axept® will return to the main menu allowing you to use your terminal.